The Kingsman is an handmade single motor riser recliner chair. It is ideal for a room with limited space, as it only needs to be 5cm away from the wall. It also features a USB charging point as standard. 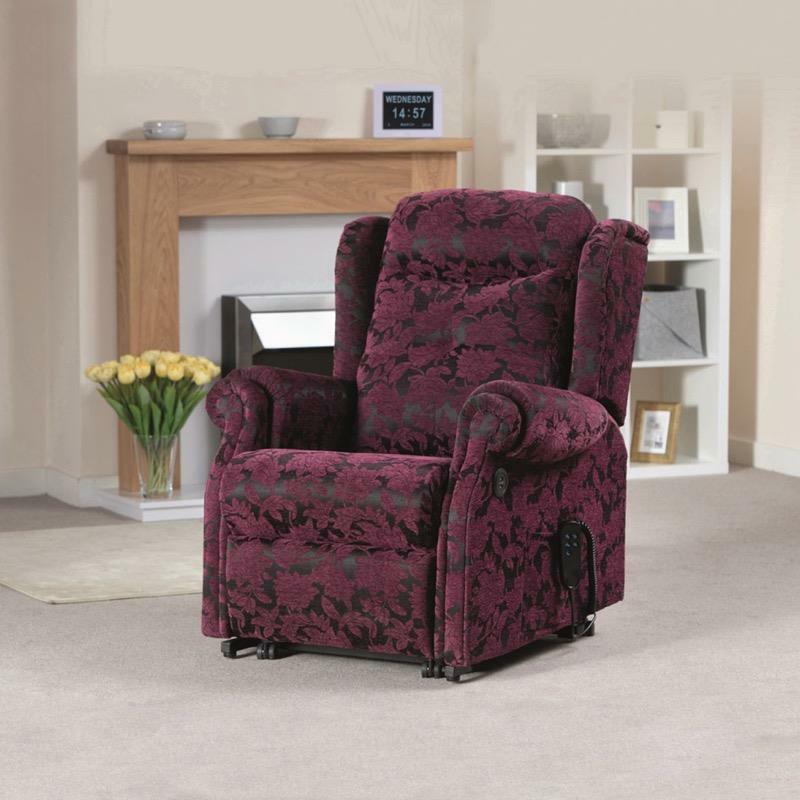 This single motor riser recliner is hand made with double scrolled arms, piped wings and a split back top cushion. The seat is hard wearing and durable The springs are gold quality and have been tested to 20,000 cycles (equal to 20 years use). The chair also features a USB charging port.